1) LIBA Falafel owner Gail Lillian had said she would open her new Uptown brick-and-mortar spot (380 17th St.) with no advance notice, and lo and behold, she followed through on that promise: When I walked past on Monday afternoon, the falafel shop was open for business! The sign on the door says there are only limited hours for now, but eventually LIBA will be open Monday through Saturday, 11 a.m.-3 p.m. and 5-9 p.m.
2) A new restaurant and bar called Townie (1799 University Ave., Berkeley) is open in the former Caffe Venezia spot in downtown Berkeley, Berkeleyside Nosh reports. One of the owners, Nima Shokat, runs West Berkeley’s Missouri Lounge, and the chef, Dana Ryan, has worked at Gather and State Bird Provisions. Inside Scoop snagged a copy of the streamlined opening menu, which focuses on shareable “New American-style small plates.” And Sour Patch Kids for dessert, apparently. 3) Over in Temescal Alley, Curbside Creamery (482 49th St., Oakland) has finally announced the grand opening date for its new brick-and-mortar shop: It will be Friday, August 1 — First Friday. The ice cream shop, best known for its ice cream sandwiches and its cashew-based vegan flavors, will be open from 5-9 p.m. that evening. 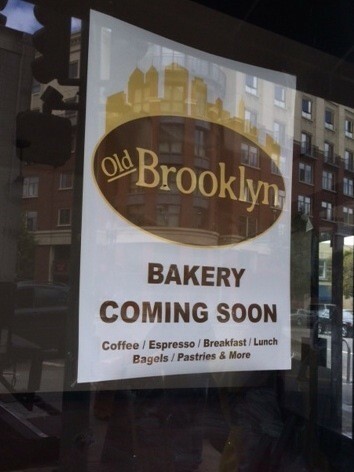 4) The long-shuttered Uptown Oakland storefront at the corner of Broadway and Grand Avenue, which previously housed Bakesale Betty’s second location, finally has a new tenant: Old Brooklyn Bakery (2228 Broadway), from the same folks who run the similarly-named Rockridge bagel cafe, Old Brooklyn Bagels. We’ve reached out to the owners about their plans, but it’s fairly safe to assume that bagels will feature prominently at the new spot, too. Stay tuned for additional details. 5) Also in Uptown, a new Asian-inspired taco and burger joint called Belly (1901 San Pablo Ave.) is now open, just a few doors down from Hopscotch, Eater reports. The owners are SoCal transplants who missed the kind of Mexican and Asian street-style fusion dishes they routinely ate back home, so look for tacos and burritos that feature condiments like “Korean slaw” and kimchi aioli. Check out the full menu here. 6) Eater reports that The Dock at Linden Street, the subject of this week’s restaurant review, is beefing up the food menu at the casual Beer Shed section of the space, which heretofore has only served a very limited selection of bar snacks. New additions will include a few brunchier items on weekends, when the Beer Shed (but not the restaurant section, The Dock) opens early at 11:30 a.m. This Sunday, July 27, the restaurant is hosting a casual, all-you-can-eat crawfish boil at the Beer Shed for $20 a person. 7) Good news for the late-night crowd: The East Oakland Filipino takeout joint Lucky Three Seven (2868 Fruitvale Ave.), the sometime object of my obsession, is now open until midnight every day. After 7 p.m., the restaurant will serve a limited late-night menu: lumpias, chicken adobo, longganisa (sweet sausages), and tocino (Filipino bacon). 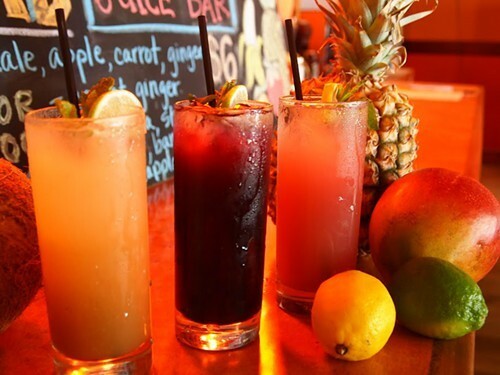 8) Bissap Baobab’s new Oakland location at 381 15th Street launched happy hour and dinner service last night. Now that it has its liquor license, the Senegalese restaurant is open for happy hour from 3 to 6 p.m. and for dinner from 5 to 10 p.m., Tuesday through Saturday. Happy hour specials include $5 for a beer or cocktail and a pastel. 9) Just in time for the summer grilling season, The Chronicle got Venga Paella chef Eduardo Balaguer to share his recipe for a traditional seafood and vegetable paella that’s best cooked on top of a charcoal Weber grill. 10) As soon as I heard about TGI Friday’s new “Endless Appetizers” promotion (wherein you pay $10 for as many loaded potato skins, boneless barbecue chicken wings, or mozzarella sticks as you care to stuff your face with) I immediately looked up where the nearest Friday’s is (Union City, it turns out) — for research purposes, naturally. I am, after all, a food journalist. Fortunately, the folks at Gawker.com saved me the trouble. Read about one intrepid blogger’s 14-hour descent into endless-mozzarella-stick inspired madness here. 11) Finally, ICYMI, this week’s What the Fork included posts on Chris Kronner’s French bistro pop-up and the Shattuck Down Low owner’s plans for a new downtown Oakland bar with a rooftop patio.